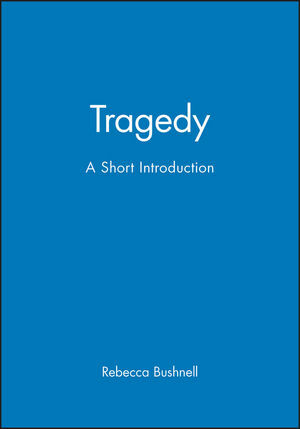 Tragedy: A Short Introduction reinvigorates the genre for readers who are eager to embrace it, but who often find the traditional masterpieces too distant from their own language and world. Rebecca Bushnell is Dean of the School of Arts and Sciences and Professor of English at the University of Pennsylvania. She edited A Companion to Tragedy and authored Green Desire: Imagining Early Modern English Gardens, A Culture of Teaching: Early Modern Humanism in Theory and Practice, Tragedies of Tyrants: Political Thought and Theater in the English Renaissance, and Prophesying Tragedy: Sign and Voice in Sophocles’ Theban Plays. Chapter 2. Tragic Form and Language. Chapter 5. Tragic History and Tragic Future.